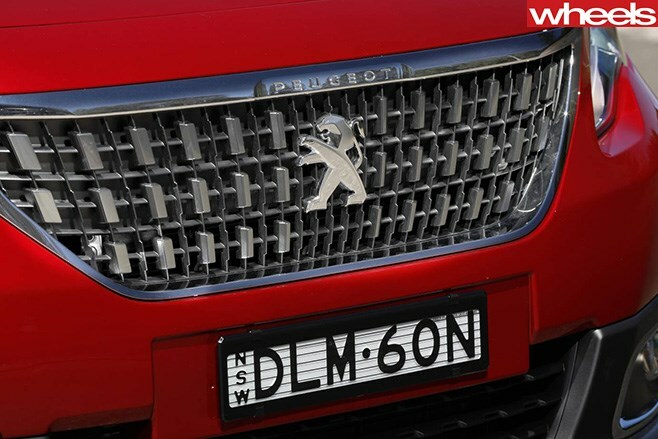 PEUGEOT is serious about turning its once-invisible 2008 small SUV’s fortunes around, with a makeover introducing a tougher-looking nose, a more-desirable powertrain, and longer features list. If it still doesn’t sell then Australians just aren’t ready for a sophisticated and dynamic baby crossover. 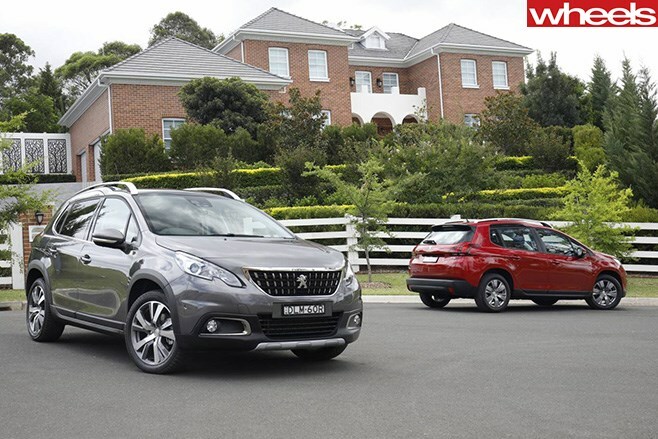 Based on the 208 supermini, the front-drive only Peugeot 2008 is basically a jumped-up wagon with an SUV ride height and some soft-road capability in higher-spec variants. A streamlined range sees one all-new 1.2-litre three-pot turbo auto powertrain replace three unfit older engine choices, to help the Peugeot finally make a splash. Peugeot isn’t regarded as a being at the cutting edge, but the outgoing 2008 was indeed at the pointy end of things when launched in 2013, helping to usher in a new era of small SUVs defined by the Mazda CX-3. The problem was, despite sparkling dynamics, a smooth ride, classy dash and roomy interior, its powertrain options were at odds with Aussie tastes. The facelift’s 1.2-turbo auto fixes all that – and more besides. 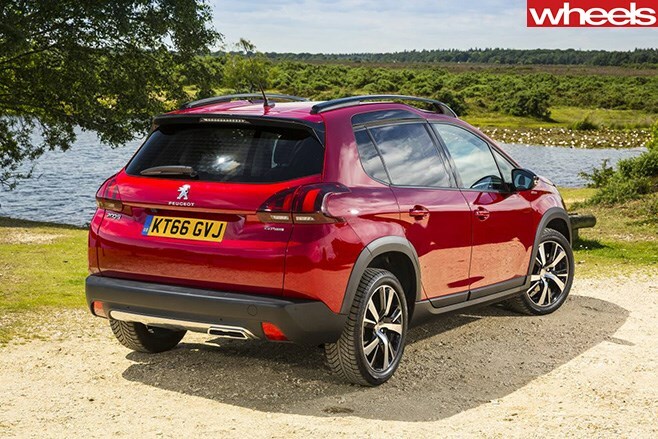 Believe it or not, one of the oldest small SUVs on the market – the Peugeot 2008 – might have gone from being amongst the least to most competitive in one fell swoop. Gone are the inadequate engine and transmission choices, for a glowing 1.2-litre three-pot petrol turbo, mated to a responsive six-speed auto. The insipid nose has been remoulded to look more butch, and spec levels rise. We’ve always rated the previous 2008’s sweet handling and ride qualities, so now that the French have fixed everything else, we are looking at one of the better – and more enjoyable – small SUV contenders out there. Who’d have thought that! SEQUELS. Most pale against their original, but as with Andy Murray’s latter Wimbledon campaigns, the Morris Minor 1000 and Star Trek II – The Wrath of Khan, sometimes a subsequent attempt works a charm. 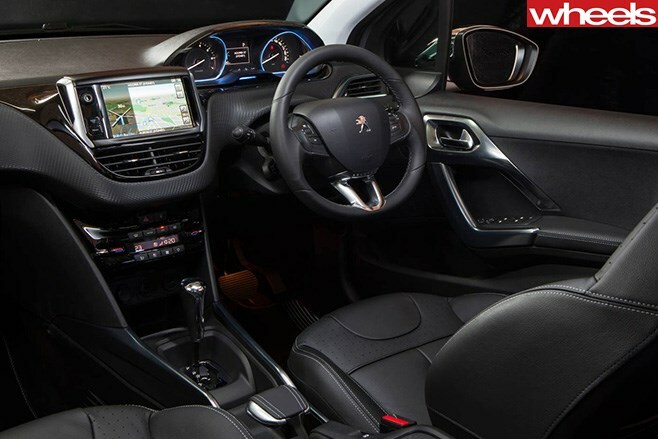 Enter the Peugeot 2008 facelift. Not an epic generational change, granted, since the visual makeover is limited to a more butch nose cone, beefier cladding, lion’s claw-like LED tail-lights, chunkier alloys, and the obligatory touchscreen multimedia update. However, what has been upgraded has turned a sweet handling, comfy riding, and classily-packaged small SUV into an unexpectedly complete mid-spec Mazda CX-3 agitator. The first move involved ousting two completely unsuitable atmo petrol powertrain choices. We’re talking about the 60kW/118Nm 1.2-litre triple manual (willing but weedy) and 88kW/160Nm 1.6 four-pot/four-speed auto (gutsy but woefully dated). Both give way to a sparkling 81kW/205Nm 1.2 turbo triple/six-speed auto combo also servicing the closely related Peugeot 208 supermini. The transformation turns the 2008’s driveability from despondent to dazzling. Replacing off-the-line lethargy is a rorty and punchy performer offering a level of mid-range acceleration and flexibility that only the criminally ignored so now-sadly discontinued 68kW/230Nm 1.6-litre HDi turbo-diesel manual could match. The Toyota-supplied torque-converter trannie is also a slick-shifting delight. And with fuel economy that almost matches the latter to boot. A correspondingly lighter (by 12kg) front axle compared to the previous 1.6/auto mainstay seems to enable even greater steering agility. Backed up by the same supple suspension tune as before, this 2008 is set-up for a keen driver. Don’t you just love a virtuous circle! Deep side windows and a commanding view ahead thanks to Peugeot’s controversial ‘i-Cockpit’ low-wheel/high instrument driving position set-up further engender a sense of confidence. We’ve always applauded the better-than-mainstream dashboard detailing, which include pretty analogue instruments, a lovely leather-clad wheel and contrasting metallic trim, so happily nothing much has changed inside. All models score more gear than before, including a reverse camera, rear parking sensors, Apple CarPlay, cruise control with speed limiter, electrically foldable mirrors, and alloy wheels. With no more manuals (or atmo engines) available, membership into the now all-turbo 2008 club jumps $4000, but even at $26,490, the base Active 1.2T auto represents value. In fact, apart from non-manual, occasional road noise, and no AEB on Active, Peugeot’s one-time small SUV underachiever is now a likeably complete package. It deserves to be a blockbuster.